Original Editors - Shelby Adams & Sarah Huttonfrom Bellarmine University's Pathophysiology of Complex Patient Problems project. It is estimated that 100-200 of human Leptospirosis cases are identified annually in the United States. About 50% of these cases occur in Hawaii. Leptospirosis survives well in warm climates, fresh water, and muddy areas. The largest recorded U.S. outbreak occurred in 1998, where 775 people were exposed to this disease, with 110 becoming infected. Incidence in the United States is relatively low, however, leptospirosis is considered to be the most widespread zoonotic disease in the world. Significant increases in incidence have been reported from Peru and Ecuador following heavy rainfall and flooding in the spring of 1998. Thailand has also reported a rapid increase in incidence between 1995 and 2000. Clinical presentation of leptospirosis is variable depending on the stage of the disease. Time between a person’s exposure to the source and showing these signs and symptoms can be 2 days to 4 weeks. Early state signs and symptoms include high fever, headache, chills, muscle aches, vomiting, jaundice, red eyes, abdominal pain, diarrhea, and rash. The second stage presents with more severe symptoms such as kidney or liver failure, meningitis, hemorrhage, hepatomegaly, pulmonary hemorrhage, and ARDS. This phase is also known as Weil’s disease. Case fatality for leptospirosis is 1-5%. Pathogenic leptospires are divided in two stages. 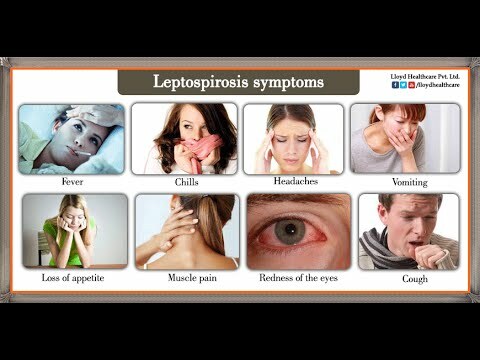 The first stage of leptospirosis is septicemia or the acute stage. This stage lasts from 3 days to 10 days and presents mostly as headache and myalgia. During this stage leptospires are found in blood in a decreasing number until 15 days after onset of symptoms. Samples must be collected up to 2 days after initiating antibiotherapy to detect leptospires. The second stage or immune stage, usually occurs during the second week after onset of symptoms and lasts 4-30 days. During this stage, the increased antibody titer is correlated to elimination of leptospires from blood. The majority of Leptospirosis cases (over 90%) are considered mild. Early diagnosis leads to a faster onset of treatment, which can prevent the patient from developing a more severe level of Leptospirosis. If the patient does reach severe levels, it is considered a medical emergency. Patients most often succumb to this disease because of renal failure, acute respiratory distress syndrome, or a massive hemorrhage; pulmonary involvement is the most common. Patients do survive severe Leptospirosis, especially when there is a quick initiation of supportive therapy and antibiotics. Currently, there are no known documented comorbidities that were found in the research. However, it would seem reasonable to suspect those with a compromised or suppressed immune system would be more susceptible to contracting Leptospirosis. There is also a higher risk based on environment and occupation. For example, farmers, pet shop owners, and survivors of natural disasters are at an increased risk to be exposed to leptospirosis. Leptospires are from a group of bacteria called spirochetes. There are two families of leptospiraceae: leptospira and leptonema. Leptospira have over 200 known pathogenic serologic variants, and 21 species of identified. 13 of these 21 species have been detected in human cases. 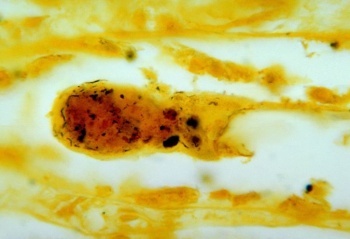 The appearance and motility of leptospires varies with the nature of the medium in which they are grown. Certain geographic regions contain specific leptospiral serovars and species, the serologic characterization of an isolate is not an absolute predictor of its species designation. Leptospires are long, thin, motile spirochetes. They may be free-living or associated with animal hosts and survive well in fresh water, soil, and mud in tropical areas. Despite the different types of leptospires, there is no documentation of different presentations. Once the leptospire enters the host, the pathogen reproduces. The survival rate of the leptospires depend on the immune system of the host, a suppressed immune system means the leptospires are more likely to survive and infect the host. Once they survive initial contact, they need to spread throughout the body. So, they migrate to the bloodstream and lymphatic system to spread quickly. Once in the bloodstream and lymphatic system, the bacteria continues to spread and affect the other systems of the body. After infection, common systems affected by Leptospirosis are: kidney, nervous, hepatic, musculoskeletal, visual, cardiopulmonary, and integumentary. Common systemic issues that are associated with Leptospirosis in early stages include: myalgia, red eye, abdominal pain, and in some cases skin rash. In later stages it has systemic issues such as: liver damage, causing jaundice, kidney failure, meningitis, encephalitis, and bleeding in the lungs. Antibiotic therapy should be given early in the course of disease. 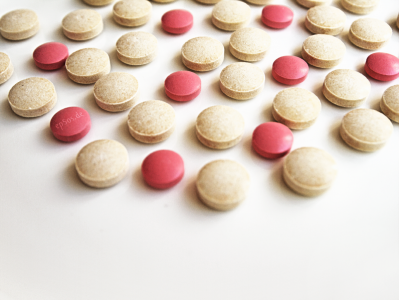 Some sources state that in mild cases, it is typically unnecessary to treat with antibiotics since it is self-limited and can resolve without medical attention. However oral antibiotics can shorten the course of illness and can reduce and shorten urinary excretion of leptospirosis thereby decreasing chance of further spreading the infection. In persons with more severe symptoms IV antibiotics may be needed. There is an incubation period of 7 days, with a range of 2-29 days. In cases of widespread epidemics Prophylaxis can be used. Patients with severe cases of leptospirosis also require additional therapy and careful management of renal, hepatic, hematologic, and central nervous system complications. If renal failure begins, starting early hemodialysis or peritoneal dialysis may reduce mortality by nearly two-thirds. Other supportive care can include inotropic agents, diuretics, or ophthalmic drops. At this time there is no physical therapy management for Leptospirosis. If a Physical Therapist suspects signs and symptoms of Leptospirosis refer to a physician immediately for testing. However, once the patient gets proper treatment/medication, and they are in the recovery phases, a physical therapist can help with the associated sequelae. For example, common complications of Leptospirosis include kidney damage/failure, meningitis, liver failure, and respiratory distress. These conditions come with complications that physical therapists can help treat. For instance, meningitis can cause stiffness of the trunk and neck. Physical therapists can intervene to help maintain mobility in the neck/trunk. It is important to understand that while physical therapists cannot affect the bacteria infection itself, they can affect the associated sequelae. There are many other diagnoses that present in a similar manner to Leptospirosis, especially in the early phases. The early phases present with flu-like symptoms; such as muscle aches, fever, and chills. In more severe cases, Leptospirosis may be misdiagnosed as meningitis, sepsis, or dengue. This is why patient history is crucial; as a clinician, it is important to ask about travel history and exposure to animals. These two points can provide information needed to get Leptospirosis on the radar. ↑ 6.0 6.1 Cruz LS. 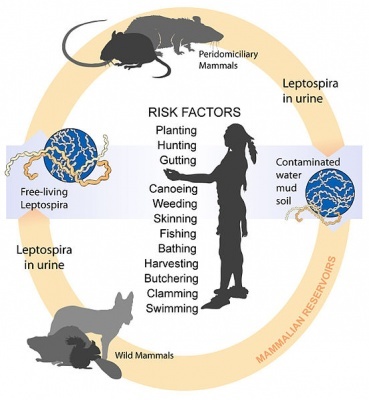 Leptospirosis: A Worldwide Resurgent Zoonosis and Important Cause of Acute Renal Failure and Death in Developing Nations. Ethnicity & Disease. Spring 2009: Volume 19: Pages 37-41.